Tammy is getting back to the basics, starting with jewelry making tools. What is your must have tool? Gearing up for that big bead show coming up? 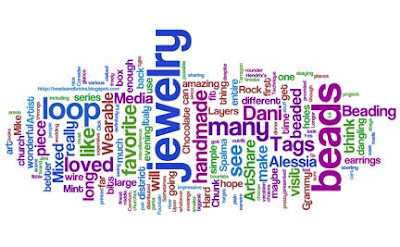 ABS has the top ten tips for your bead buying trip! Barbe is having a "City of Love" giveaway!!! A handmade bezel results in a new necklace for Carmi called FAITHFUL. A set of smokey quartz beads inspires a new necklace. Melanie celebrates her 1000th blog post with Ten Days of Giveaways! Get the 411 about BeadStyle's gorgeous All Star Issue! Lorelei has been answering some of her reader's questions from a previous giveaway post. Read up on what everyone wants to know! Jean is thrilled to be in BeadStyle magazine's July All Star issue, with pals Tammy Powley, Heather Powers, and Katie Hacker who made the cover so beautiful! Come and see! The prize for this week's Thursday Giveaway comes courtesy of Green Girl Studios! Find out how you can get ahold of these fine pewter beauties!